Where will we be traveling to? 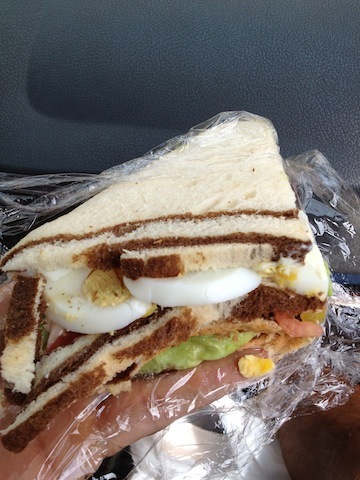 Peru has these sandwiches called triples. 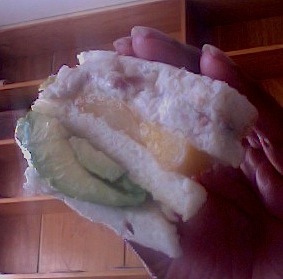 White bread in layers like a cake with three layers of different food items, typically one is chicken salad.Today I’m eating a triple with chicken salad (the mayo in Peru is made with lime) and bacon bits, avocado, and peaches. Oh and the bread has no edges (but you can buy it like that at the store here). LOL cracks me up but it actually taste pretty good. Yes it’s ginormous!